Morning! Did you have a fun World Book Day yesterday? My daughters all dressed up as animals from books which was quite funny taking Elmer, Bottom (Midsummers Night Dream) & a wolf in pyjamas to school yesterday. Comic books also count as books in our house apparently with my sons enjoying some vintage comics we got from an auction and of course Asterix books being a great read. 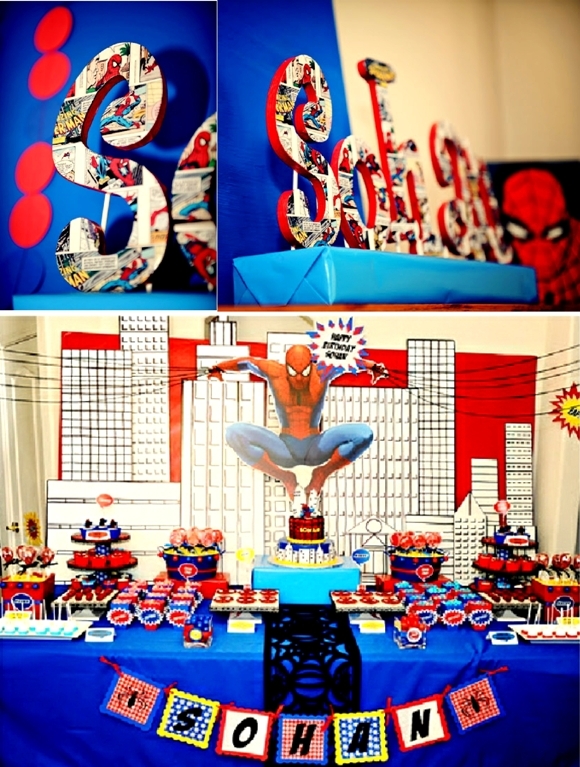 A couple of weeks ago I shared lots of ideas for Superhero Parties and today I have a great tutorial to share with you. These superhero wooden letters would look great on your dessert or sweetie table and they are really easy to make. One thing you could change is to paint the edges red instead of layering and sticking tissue paper. 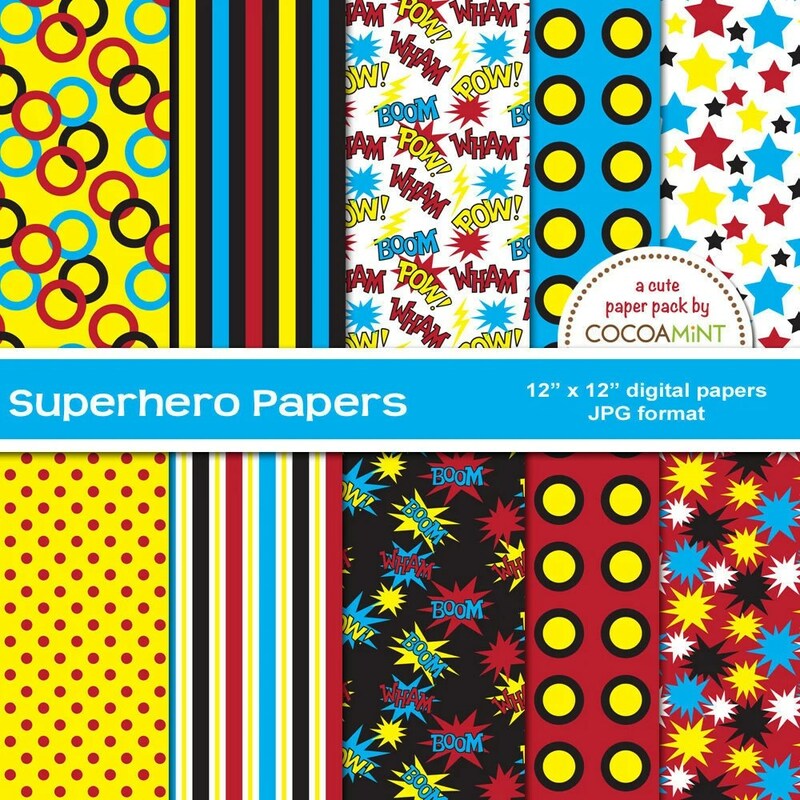 These digital papers would be perfect for using to make your superhero letters. I would print them on good quality paper, 100gsm at least. I have these papers and the designs are really worthy of any superhero party. Have fun and be sure to share you photos if you make them with us on Twitter or our Facebook page.